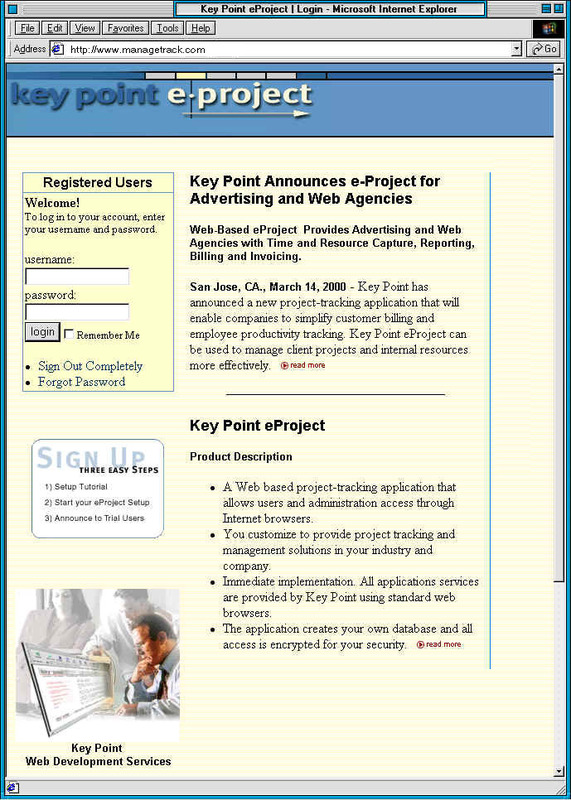 Keypoint’s e-Project made with ASP! Aside from being a web consultant for Keypoint – traveling to bay area companies to help clients with their websites – I am also one of two web application developers for Keypoint’s in-house software, e-Project. The Keypoint team and I use e-Project to track the number of hours we spend programming (or graphics designing for the graphics guys) for a certain client. 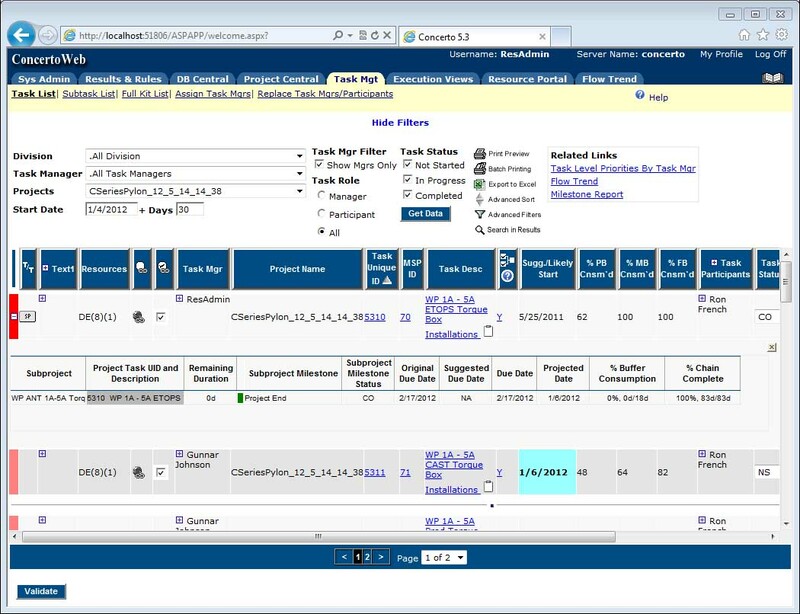 When it is time to bill our clients, e-Project calculates our rates and the time we spend so it can prepare an invoice for the client. 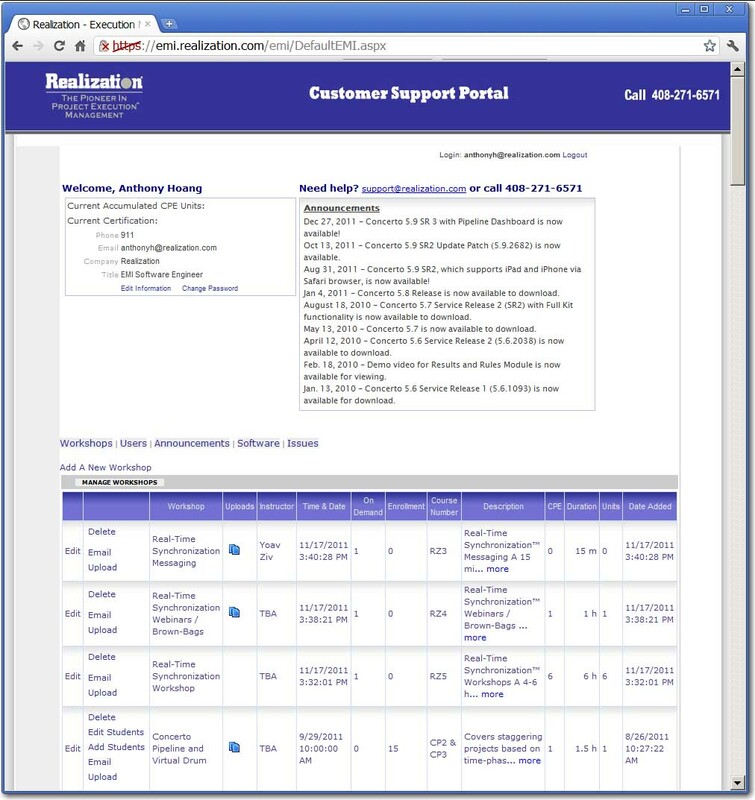 *update: Our e-project is now available to other companies who wish to use a web-based Time and Resource Billing application. My first e-Commerce site! Buy your Metabolife now! my first e-Commerce and ASP site! A high school buddy and I decided to dabble in eCommerce. He is somewhat a medical expert and I am somewhat a technical expert so I took on the task of creating an eCommerce website for us. 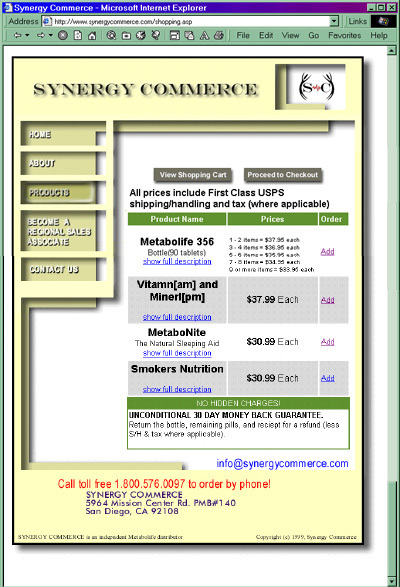 Our website allows consumers to buy Metabolife and other supplements through an online store. This was my first time using ASP to create an entire website. With ASP I was able to construct a shopping cart feature and use SQL to store our orders in a database. The orders are processed through a 3rd party merchant. We launched the website a couple weeks after my college graduation and called it SynergyCommerce. *update: SynergyCommerce was short-lived but was great for my continuing self-education.